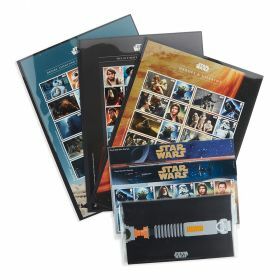 For Lightsaber enthusiasts across the nation, big and small, this Lightsaber Display Set makes the perfect gift for any Star Wars fan. 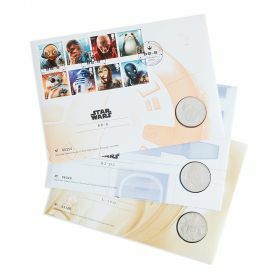 Includes all 20 character stamps from both 2015 and 2017 stamp issues. 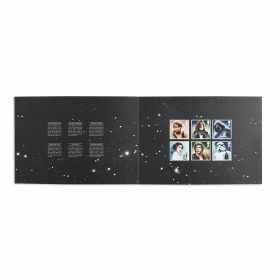 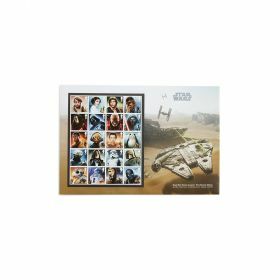 An unusual Star Wars gift that can't be found on the high street, this display set extends in true lightsaber fashion to reveal all 20 character stamps from the 2015 and 2017 stamp issues. 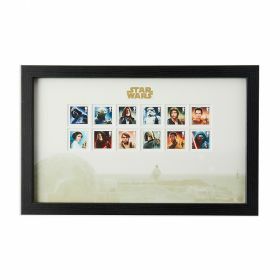 Perfect gift for Star Wars fans of all ages.